We are happy to announce our first benefit concert. 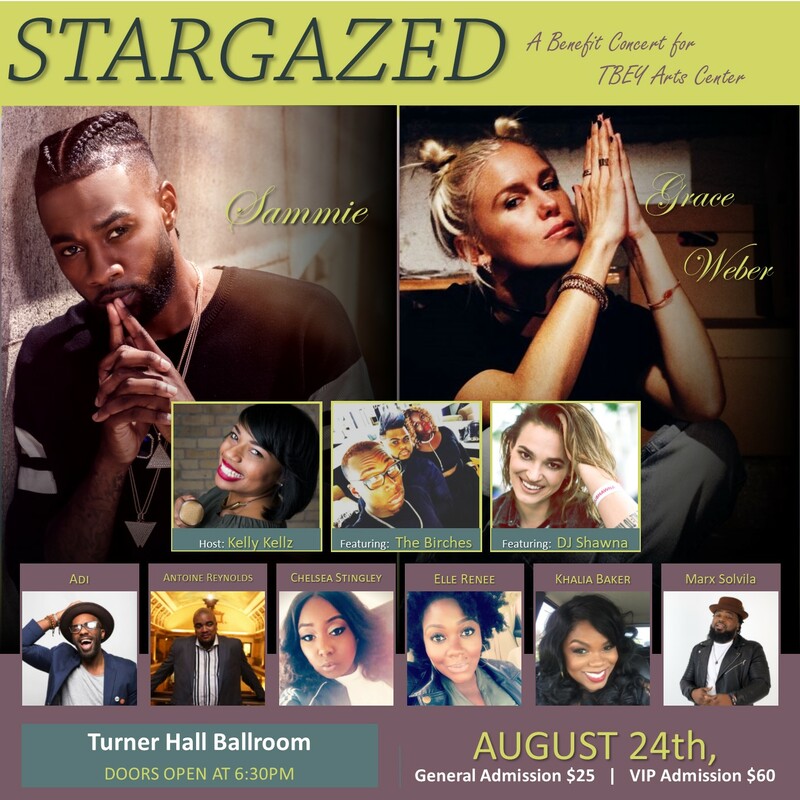 The StarGazed Benefit Concert will consist of live entertainment from local artists as well as national recording artists. There will be a reception on the balcony for V.I.P ticket holders. VIP guests will have the opportunity to network, receive priority seating, enjoy catered appetizers, cash bar, silent auction, and meet with some of our artists, and receive autographed t-shirts and gifts. The purpose of the benefit concert is to raise funds for TBEY Arts Center, Inc. After-School and Summer Art Education Programs, to provide youth members the opportunity to receive quality training at no or little cost to their families. Funds from the benefit concert will be used to support program costs such as space rental, artist salaries, supplies, materials, equipment, instruments, and maintenance. Visit StarGazed Benefit Concert website.